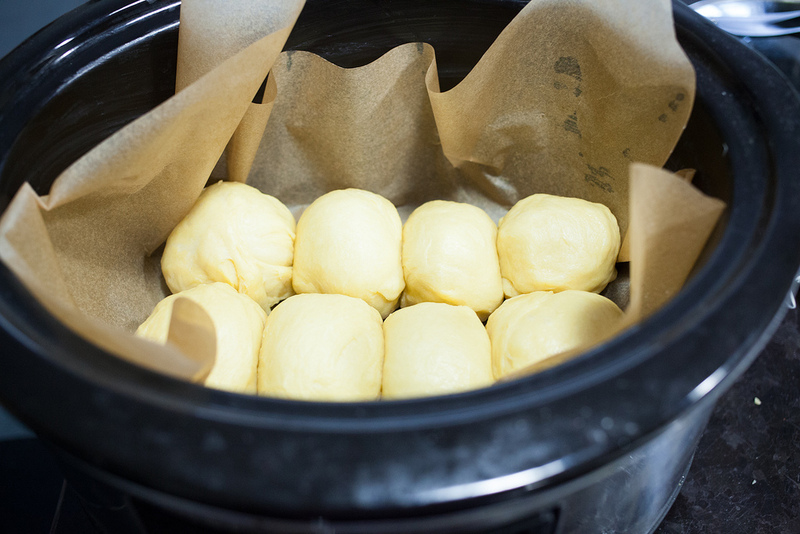 2Preheat your oven to 180 degrees Celsius (on normal setting, not thermo-fan) while the dough balls are proving in the pot. Once the oven is hot and the balls have risen, stir together the sugar and cream and pour it over the dough balls. Cover with the lid and bake in the oven for 45 minutes. Do not lift the lid during this time! To test if it is done, insert a thin skewer. If it comes out clean with no dough sticking to it, it’s ready. 3This sweet pot bread can also be made the traditional way – on the braai. If you are doing it following the indirect method on a Weber, treat it as an oven and pop the Weber’s lid on for the duration of the cooking. If you are making this on a traditional grid braai, place the pot low over medium-hot coals and place a few coals on the lid of the pot. 1If you are making this in your oven, you can use a thin enameled pot or a cast iron one. If you cook this on the braai fire, you need to use a traditional cast iron flat-bottomed ‘bread pot’.